No. 2 - Family members say two sisters were killed and two other people were wounded in an overnight shooting this weekend in northwest Miami-Dade. No. 3 - A man suspected of killing three people, including a young girl in Central Florida on Friday has turned himself in to police, officials said Sunday. No. 4 - Two former South Florida firefighters will go on trial today for a crime against one of their superior officers. 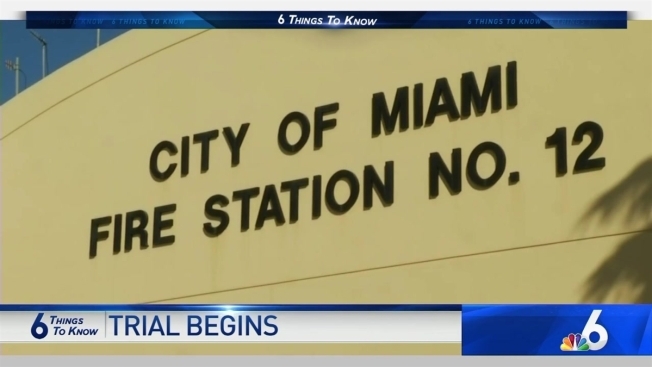 Prosecutors say the men were part of a group of Miami firefighters who wrote racially charged messages on a family picture of an African American lieutenant - including a noose on the desk. No. 5 - American and Southwest Airlines are pushing back their deadline to get Boeing 737 planes back up and running to August, which means your summer travel plans could be affected. No. 6 - Today is Tax Day and you have until the end of the business day to get your tax documents in the mail on their way to the government. Click here for tax day freebies and deals plus tips if you need to file an extension.